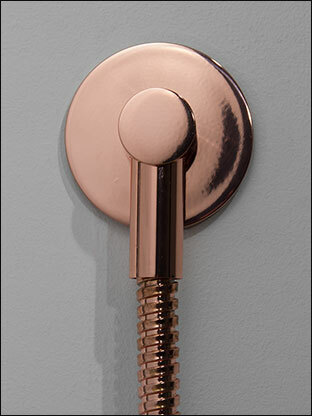 A copper plated shower wall water outlet elbow for the tidy fitting of shower hoses. 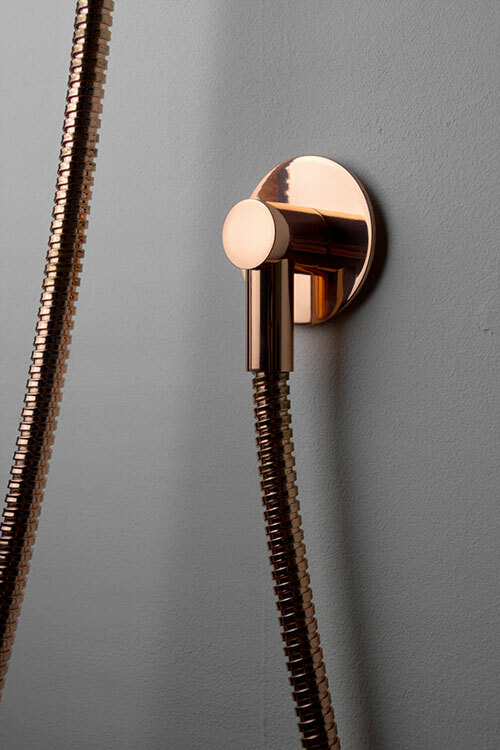 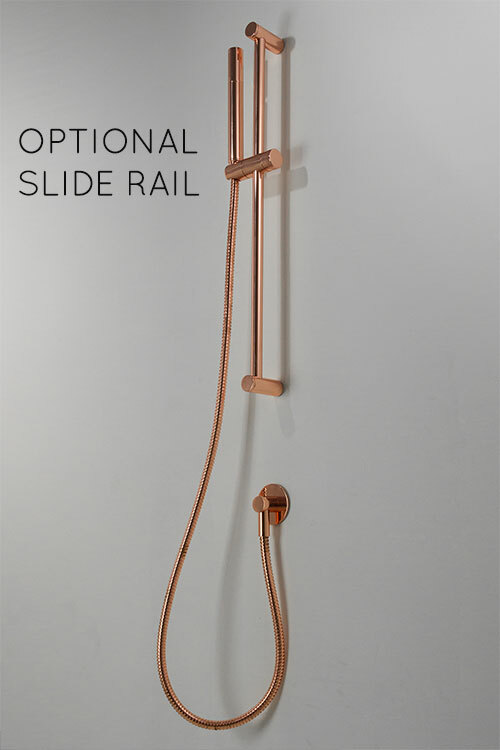 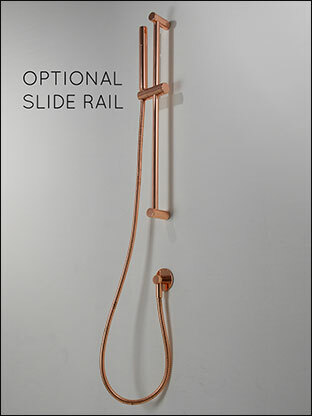 Part of a full matching range of copper taps and shower fittings. 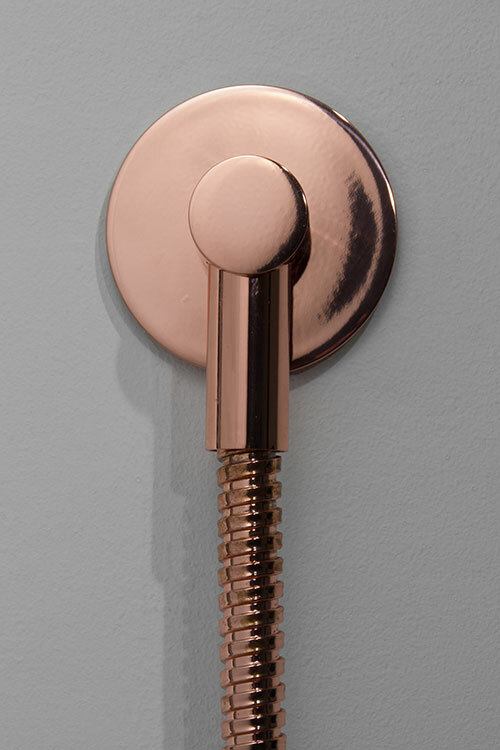 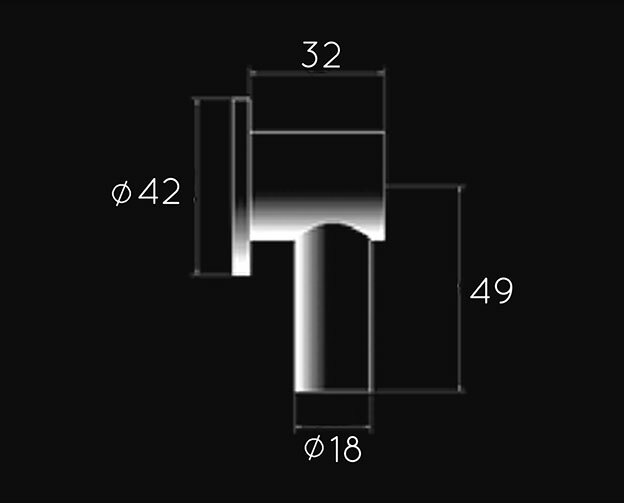  Part of full copper fittings range. 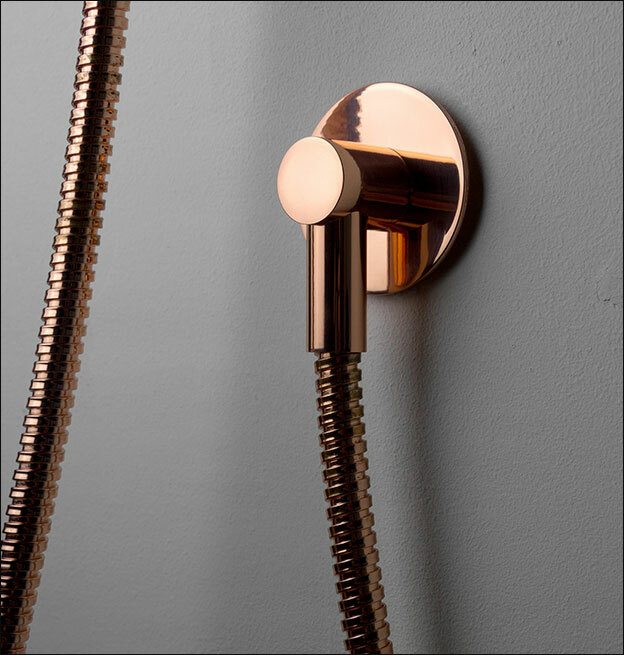  Unique gloss & brushed finish.